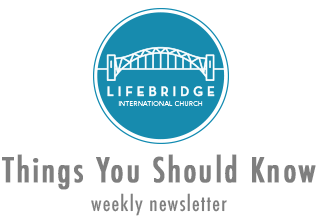 What to expect: Sundays at LifeBridge provides a space for you to be encouraged, accepted and known. You will experience dynamic worship, gospel-centered, biblical teaching and genuine community. We meet from 9:30am-11am and afterwards you are invited to join us in the food court for lunch (perk of church in the mall). If you have children, they will worship with all of us and then have a time just for them in our BridgeKids ministry. Do you ever wonder if being close to God could really change your life? Did you ever want to be closer to God but don’t really know how to get there? Do you ever wonder if getting close to God is even possible for someone like you? Or anyone, for that matter? If so, you’re in good company. A lot of people ask these questions. If you desire to be closer to God today, then this is a journey you need to be a part of. Wherever you have been or whatever you may have thought before, you can experience God in a real and authentic way. God’s Word gives us six specific yet practical ways to get close to Him. These “vehicles,” are guaranteed to take you closer to God than you are right now. These vehicles are simple to operate and extremely relevant to our lives today. As we go through this series, and you begin putting these “vehicles” into motion, you will quickly learn that you, just the way you are right now, can move into a life-altering connection with God. You are about to go on a journey that will change everything about your life. This is a trip you will never forget. We’re excited that we can take this ride together.